Boxing is big money. Boxing is fame. Boxing is a spectacle. 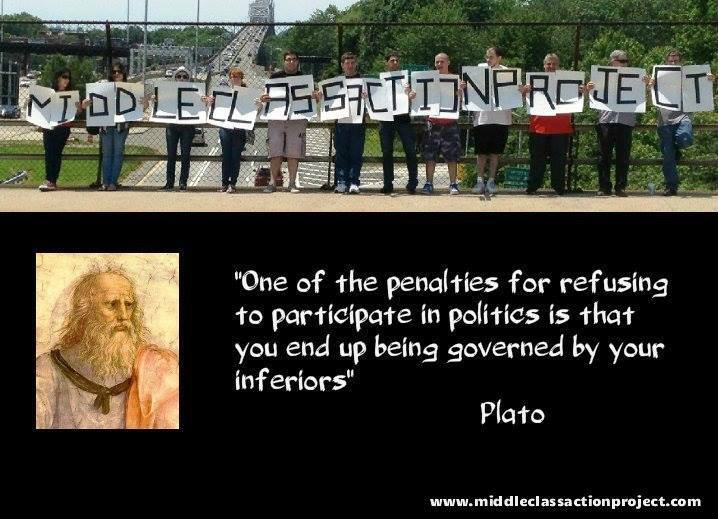 That is why it attracts such overwhelming attention, while touching the interests of so many – bread and circuses. Perhaps, that is why not everything that happens in professional boxing finds adequate evaluation. In fact, the events in the boxing ring should be evaluated much easier; as professional boxing – is life. Just like in life, it offers place for tragedy, as well as comedy. A boxer confined to a wheelchair is always a tragedy. A boxer opening his gown with no boxers underneath (as it happened with Timmy Larkin in 1942) is a comedy. A Boxing Hall of Fame champion drowned in his own bathtub, like Albert Chalky Wright – is a tragicomedy. 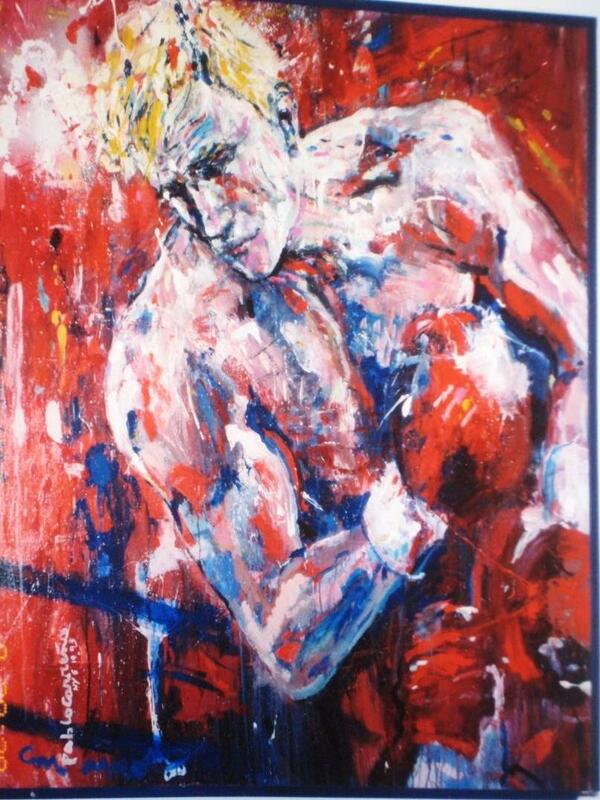 Just like in life, there is always a place for heroism, in boxing. A prospective boxer Craig Bodsianowsky got into a car accident, and had his leg amputated at the knee. His will power was extraordinary enough to help him come back to the ring, and keep fighting on a prosthetic leg, demonstrating his high class mastership. There is also place for cowardice, as when a two-meter-tall Anjey Golota missed Mike Tyson’s punch and started running away from the ring in the middle of the fight. Still, the same question has been bothering me for a while: why is that despite medical control and plenty of referees, the tragedies on the ring keep happening? Of course, it is often a referee’s fault by letting the winning boxer finish the ‘floating’ rival. Often it is the managers’ fault , pushing their boxer to fight an incommensurably stronger one, or while unprepared physically or technically. A boxer has a right to refuse continuing the fight, but in theory only. People blaming boxers who become handicapped because they didn’t quit fighting in time, simply don’t understand the ring fighter’s psychology. Perhaps, here lies the answer to my question: the blame is on boxers’ character, will power, and courage. 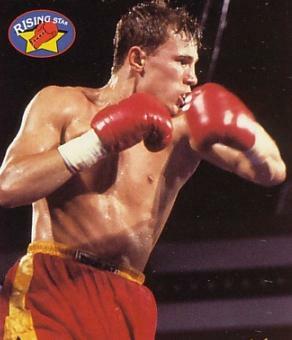 In 1993 Artemiev, burning with fever, came out to fight Carl Griffith for the Champion’s title. The fight was stopped by the doctor in the last round, when Sergei was already barely breathing. As a result, he underwent clinical death, and began to learn living from the start, quitting boxing forever. March 21, 1993. 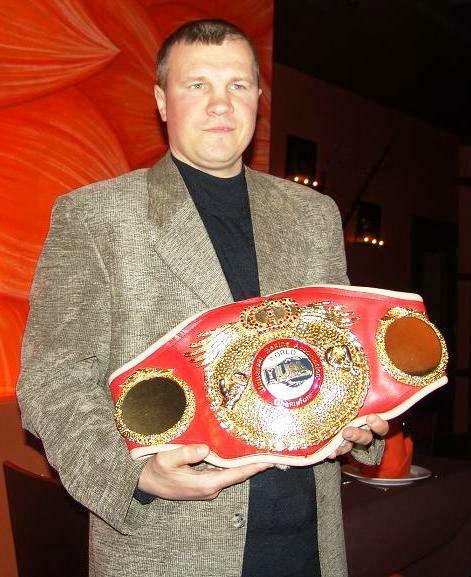 In 1990 Sergei Artemiev, the World light weight Champion, moved to the US, having decided to become a professional boxer. 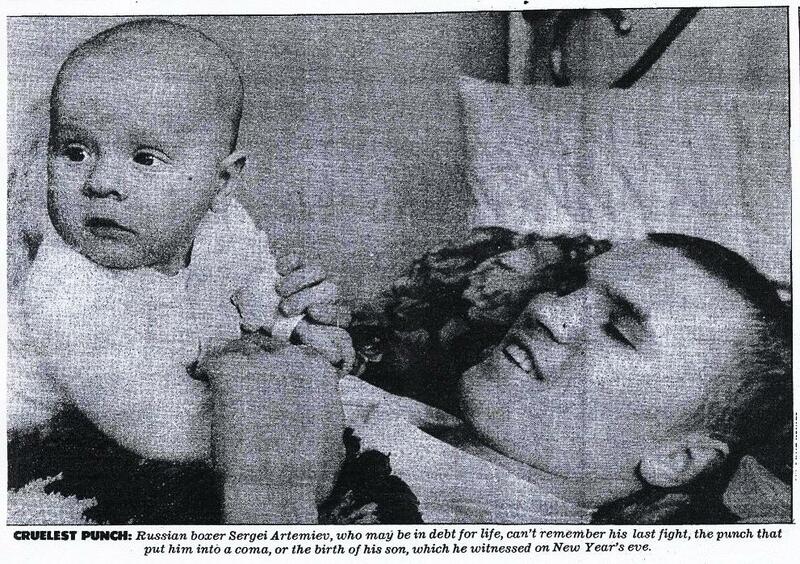 Three years later the newspapers wrote about the death of this Russian boxer in the ring. Fortunately, the death was clinical. Artemiev has completely recovered after heavy brain injuries. However, he put a heavy cross on boxing. October 9, 1999. Caracas, Venezuela. During the fight for the Latin American Champion title, 23-year-old Carlos Barreto (1998 world champion by WBA) got knocked out by Jose Luis Valbuena. The doctors never managed to take Barreto out of his coma. October 25, 2000. Boston, USA. 25-year-old Robert Benson, having had won all his 14 previous fights, finished the drawn fight with Steve Dotse (Ghana). After the first tie he felt sick in the locker room. He spent 5 days in coma, after which he passed away. October 30, 2001. Jakarta, Indonesia. 19-year-old Donny Maramis never regained consciousness and died in a hospital after missing a right hook from Stenly Catalo. February 4, 2002. Thailand. 28-year-old local boxer Chachtaj Phaizitong lost consciousness after a striking punch from the Russian Alexander Bararut. The doctors stated drastic decrease of blood pressure. They could never save his life. February 7, 2002. Jakarta, Indonesia. 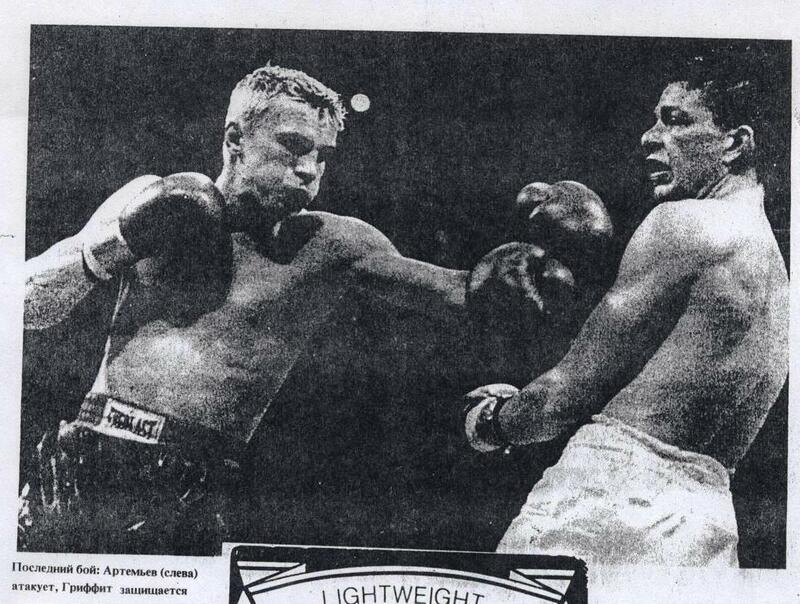 20-year-old Johan Fransiskus lost a fight by technical knockout from his compatriot, Slamet Nizaru. Three days later he died of brain hemorrhage. April 26, 2002. The Philippines. 21-year-old Manuel Sajas got knocked out in the 9th round of his fight. He died never having regained consciousness. July 24, 2003. Uta, USA. 5 seconds before the end of the first round, American professional Brad Rone missed a powerful punch from Billy Zumbran. Rone managed to get up by himself, but 10 seconds into the break he fell down. The doctors diagnosed a heart attack. The day before the tragedy, Rone’s mother dies. He was hoping to send $800 dollars from the fight to her funeral. These are just very few of almost 600 registered ring fatalities. I went into professional sports at the end of 89. The tabu on professional boxing had just been lifted. The most awarded masters of boxing got the first professional titles. I got in the second batch. They didn’t want to let me go though. At that time I was already training in the national team with Alexander, my older brother by two and a half years. Sasha (Alexander) is a famous boxer, a multiple Champion of the USSR, the winner of the first Goodwill Games, a participant of the Seul Olympic Games. I was still young, not yet 21. The authorities just said: “We’ll let the older Arteries go, but not the younger, he hasn’t done enough for his Motherland yet.” But I made a firm decision to leave. I had my first fight in the circus on Tsvetnoj Boulevard, in the beginning of January of 1990. Boxed for 4 rounds with Alexander Boskunov, and our drawn fight was recognized to be one of the most beautiful. I remember at the end of the evening, the chief coach of the national team, Konstantine Koptsev approached me. He knew me well from the youth league. He said –You made a big mistake. You should have continued with the amateur boxing. With your potential you could even win the Olympics, and then ask for much bigger money. Then you could leave, wherever you wanted. But you made your choice, and I wish you luck. A promoter from Detroit came. He looked at our sparrings – we were training as a small professional team in Podolsk. He chose several guys, including me. Two weeks later another American promoter came. 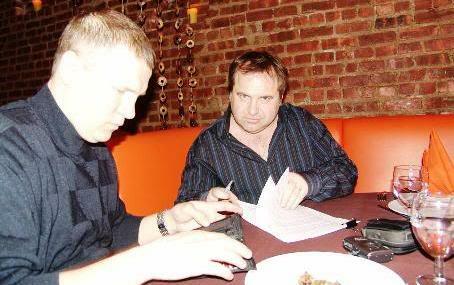 We signed a contract with him, and on February 3, 1990 we came to New York. There were five of us: heavy weight Yuriy Vaulin, Igor Ruzhnikov, Victor Yegorov, my brother, and I. First, in America they decided to compare us to the Russian fellows who had already left before us. They had trained in Canada for 2 months by then. They calmed me down –Don’t worry, you’re just fine. Maybe I was already distinguishing myself. After the sparring they left all five of us. We were inexperienced of course. Signed small contracts, for 3 years. The first year they were supposed to pay us $25,000, about $2,500 a month. The second and third year – $50 thousand. The rent was paid by the promoter, by the way. Then it was said that if one becomes a world champion, US champion, or enters the first 10 ratings by one of the professional organizations, the contract gets prolonged for 3 years. Earned thanks to the coach’s diarrhea. So, how did your career shape in the new country? – Did the money start pouring in non-stop? The first year I only got $17,000. And they didn’t pay a penny for the first 9 fights. Only the 10th fight brought in something for me, and only because our coach Tommy Gallagar (he made a pretty penny on us) didn’t go – he had a stomachache. After the fight I was given a check, and only then I realized how much I’d been loosing. But I got lucky again! 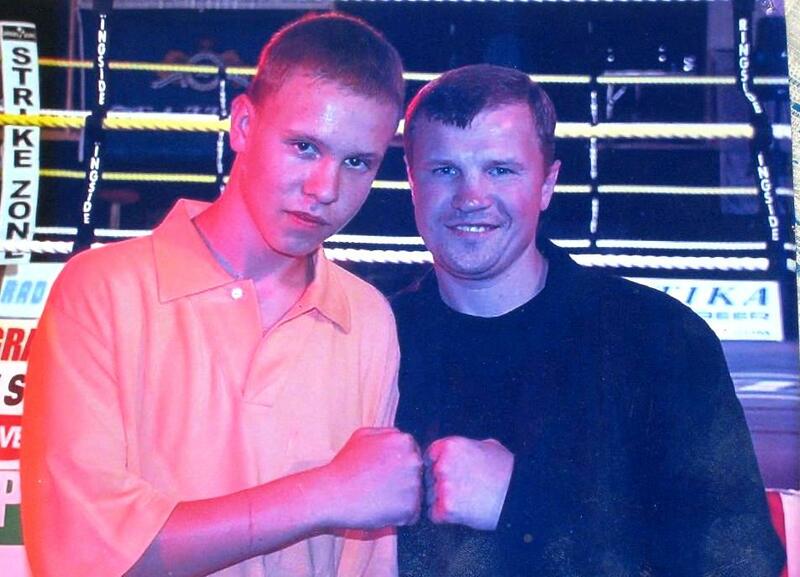 The famous boxer Oleg Karatayev fought splendidly in Cuba, even Fidel took a picture with him. Then, many promoters tried to sign a contract with Karatayev, but the USSR Sport Committee said that Oleg – was a national asset, and he won’t be let go. 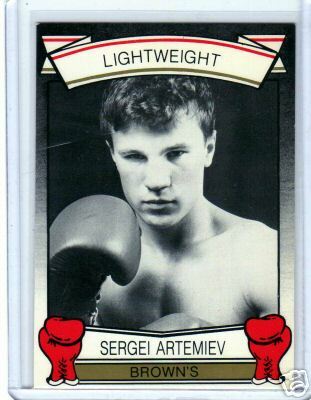 Sergei Arteries, the Russian professional boxer once considered to be one of the brightest stars of the 90-s.
We first lived in the suburbs of New York, in a three story house. Then all of us gradually transferred to Brooklyn. About three months later our wives started joining us. First, my wife Lena came. When we first met, she was indifferent to boxing. Sometimes, we even argued what to watch on TV: movies, or fights. But then she got to love it, and even offered to change the channels herself. We practically had no problems in daily life. We quickly adjusted to the American way of living. Also, there are many Russians in Brooklyn: Russian stores, restaurants, newspapers, radio, TV. In the ring it wasn’t so easy. I almost immediately realized the difference between the amateur boxing and professional . The style, the manner of fighting is quite different. But most importantly – the length of a fight. The professionals separate all boxers into several categories, not just by their weight, but also by the number of rounds they fight. There are 4-round boxers, 6-, 8-, 10-, 12-round ones. There is naturally a big difference between 6- and 8-round fights. Some never manage to overcome these barriers: physical loads are too high. I started, like everybody else, with 4 rounds. The first fight was in Reno, Nevada. And it rolled from then on. The first rivals were also inexperienced, with 1-2 fights history. I defeated almost everyone, but can’t say it was easy; I got it hard sometimes. My brother didn’t make it that well. Why? He is naturally talented, I still consider him my icon, he had ideal technique; I even tried to imitate him at first. Then later I developed the fighting style of my own. But he’s not the most hard working guy. I remember when in amateur boxing, he could not work for a month, and then train vigorously for a week or less – a couple of days – then get in the ring, and still win. But professional boxers can’t maintain such rhythm. First, he was getting it right, and then he lost it. In ’92 he broke his arm in the 8th round with a strong rival. After that he had a couple of sparring rounds, and then my tragedy followed, and he decided to quit boxing. But during the very first demonstration in the States, the specialists immediately said that if anyone would ever become world champions from our five, that would be the Armetievs. And they named me first. On December 30th, 1992 my mom came to the States, and the next day my son was born. We called him Piotr, after Peter the Great, the founder of our city. Mama asked to buy her a thick notebook, to keep a diary. She wrote about everything in there: when Petya woke up, when he ate, when he was put to bed. And about our lives, too. And I was already in the first tens in all three major organizations – WBA, WBC and IBF, and kept proceeding towards my main dream – the Golden Belt of the world champion. On March 21, 1993, American newspapers were flashing the titles “The death of Russian boxer in the ring in Atlantic City.” What happened there? It’s no longer difficult for me to talk about it. I take these questions normally. First, my fight with Carl Griffith for the champion title by the American Boxing Association was scheduled for January 10th in Taj Mahal, Atlantic City. I had an opportunity to fight right there for the USBA title, but then my prize would have been $125, 000. In case of victory over Griffith, my fee would have gone up to $250 thousand. Great difference, you see. And I decided to become the US champion first. The misfortunes began on January 5th. We went grocery shopping with my mom. At an intersection I started the car on a green light, and then felt a strong hit in the left wing, even a tire broke. I opened the door, and saw three guys coming out of the car that hit us. One was huge, the other two were shorter, but quite fit. I said: “ OK guys, it’s your fault, so you either pay right here, or give me your documents, and we’ll call the police.” And here the huge guy spat in my face. My mother tried to hold me back, but no way! I tumpled the huge one down with one punch, then another one, and the third one just ran away. But I also run fast. He had a pony tail. I still remember it bouncing on his back. I ran for some 15-20 meters, but dropped it, didn’t get him. Meanwhile, the big one got up, wanted to fight. So, I taught him a lesson again. And then I heard right in my ear: Police! Nobody move! I turned my head and saw a gun right in my face. And a man, dressed all in black. Turned out it was a security guard from a nearby jewelry store. And the people gathered around. Not a busy intersection, but it’s Brooklyn. The police came later, and a witness said that never in his life had he seen such a slender guy fixing three huge thugs like that. The saddest thing was that I injured my right arm in that fight, my finger joints still don’t bend completely. And so, the fight with Griffith, my 21st fight had to be rescheduled for March 21st. Then I don’t remember anything, and just tell as it was registered in my mom’s diary. 10 days before the fight I got sick. Came back from training, felt bad, but still went grocery shopping with Lena. But I didn’t go jogging that evening. Took my temperature – 38,9° Centigrade (102°F). The fever stayed for 7 days, then they got it down with some injections and pills. All and all, I didn’t get well enough. I hadn’t slept for 5 nights before the fight. Wandered around groggy during the day, and could’t sleep at night. Once, my mom woke up from some noise. Turned out, I was walking around the apartment, yelling out curses. She said – Seriozha, what happened, you are gonna wake your son up!- And I was almost crying – I can’t sleep! Then I would go to sleep, but wake up 2 hours later. And every night like that. So, by the day of the fight I was dead. In the morning I even asked my friend for some sleeping pills. Sure enough, he didn’t give me any, but he realized, that I wasn’t doing well at all. Could the fight with Griffith be rescheduled? If I had a Russian coach, maybe this is what would have been done. But in America, I was naturally trained by an American. And he decided that I should fight. Why? Before that I won two fights against very strong opponents, many even said that I wouldn’t go through. Nobody took Griffith very seriously. He didn’t have that strong of a punch. Out of 29 fights, he only won 10 by knockouts. And I hadn’t lost for two years. And I was sure of myself also. And besides that, it is against professional rules to reschedule a fight for the second time. He’s a white guy, good boxer. In this fight I was going for the USBA title. And my fee was only $10,000. I would have taken the money any way, whether winning or losing. I was winning the first three rounds, became worse in the fourth. In the fifth I started missing punches, due to sickness and sleepless nights. The referee turned out to be a rare scum – he saw what was going on with me, but never stopped the fight. Even Griffith told him: I don’t know what’s going on, but the Russian keeps missing all the punches. And the audience kept scanning: Stop the fight! My brother ran up to my coach and told him to throw out the white towel. But everyone has his own interest, and the coach said that it was ok, and Sergei ‘is gonna do this guy!’ And so, in the last round, I couldn’t do anything anymore, and just fell on the ropes, and the referee called the doctor. My eye brow was badly slashed, and bleeding heavily. At that moment, the doctor demanded to stop the match, and they took me into the corner, but I was already out of it. As soon as I got up, I fainted. 27 minutes later I was in surgery, undergoing skull trepanation. All this time I was unconscious. The surgery went for four and a half hours. There were three surgeons operating, two said I was a dead man, and the third one said I’d live, but would remain paralyzed. This brain injury is no nonsense. Later, while watching the recording of the fight with Griffith, the doctors agreed that the brain hemmorhage was sustained not just by one strong single punch, because there wasn’t one. I was also lucky because in the 10th round my eye brow got badly slashed, and the fight was stopped. If we kept on fighting, I would have never survived. And then I fainted and left the Taj Mahal on a stretcher. I stayed in coma for 12 days. The doctors consider my survival a miracle. Two out of three surgeons didn’t believe in the fine outcome. One of them operated on the famous singer Gloria Estefan, after her severe car accident. The third surgeon questioned death, but said if I’d come back, then I would definitely be paralized for life. Boxers usually never make it after such injuries. They even told me: Sergey, you now have two birthdays: January 20th and March 21st. When I came around, I called for my mom. She came up to the bed, crying, but I didn’t recognize her. I said I knew that woman, but she wasn’t my mother. Then Griffith called. Turned out to be a great guy. Apologized in a soft voice. He felt it in the fourth round already that my punches were getting weaker. And in the 6th round I was punching as if I didn’t see him. So, the referee who let it all happen was also guilty. I’m not angry with Carl, this is boxing. When I was discharged from the hospital, the bills started coming. Together with the surgery, the treatment was about $60,000. The promoter refused to pay. I got $10,100, and had no insurance. The insurance was another story. In general, all boxers in the first ten are insured for half a million, some – for millions of dollars. Initially, I was insured by my promoter, but for a small amount. During the 4th year of contract he told me to get insured by myself, for as much as I wanted. And I never did, because of that sickness before the match with Griffith. In any case, I had no such money. And Sergei Artemiev’s Fund was opened in America. Different people helped. Mostly, regular Americans. They sent checks for $20, $30. I remember one letter, written by a 10-year-old boy. Well, maybe the parents composed it, and he wrote it. And included a check for $5. I stopped counting letters when the count came up to 132 or 133. I got about 150. The pleasant thing was that most people really considered me the World Champion. My friends didn’t leave me alone either, the hockey players: Darius Kasparajtis, Vladimir Malakhov, Pavel Bure, Sergei Zubov. Alec Baldwin visited me in the hospital, you probably know this actor. And another Holywood star – Dustin Hoffman – even wanted to make a movie. He thought that I should play the main role myself, and he would play the coach. Poets Ilya Reznik and Tatyana Lebedinskaya dedicated poems to me – “To the Legendary Boxer” and “Russian guy from Petersburg.” Some Russian fellows wrote a song “Keep me.” And one American called his composition “I’ll Fight for Life.” I am eternally grateful to all who supported me in difficult times. And I still got the Golden Belt. It’s hanging in my New York apartment. Three major organizations agreed and gave me the title of the universal world champion. At the press conference, after the Belt award, the famous Joe Fraizer approached me: With such technique, punch and pressure you should definitely be the World Champion,-he said- I’m very happy for you. Frazier invited me to his birthday, but unfortunately, I couldn’t come. Now I regret – I missed an opportunity to meet Muhammad Ali himself there. One of my favorite boxers, after my brother of course. How did it happen that the newspapers wrote about your death? You became better, returned to your normal life style. How did it go further for you? It so happened that I separated from my wife. But we are still on friendly terms, living close by. Lena is raising my son, I see him every day. I receive pension from the state, I am a very proud American citizen. I got married again to a wonderful woman named Olga, and it’s going well. She used to be a lawyer in Moscow, and then immigrated to the US. She helped me a lot during my difficult period, and I’m very grateful for that. Yes. It so happened that at some point I started having problems with alcohol. I found some consolation in it. But thanks to Olga, I don’t drink anymore, and even contemplate some creative plans. Maybe I will write a book. I lived to tell this tale to many, many people. Sergei was a terrific fighter. My dad and I watched his fights & remember the Griffith fight well. I knewfairly early on tthere was something not right with him. After learning of his fever & lack of sleep it made sense. He could have been a great great world champion. God Bless him!